How long have you worked at QBS and what is your role? I have been employed with QBS a little over a year as a Senior Software Engineer, but have worked with QBS for many, many years developing custom imports, downloads, reports, year-end processing programs and other custom projects. What’s your favorite part of your job? My favorite aspect of being a Software Engineer is getting to help others make their roles more efficient and less frustrating by providing software solutions to meet their specific needs. What is one of the biggest challenges you face in your role? I guess one of the biggest challenges would be learning about the company’s and employees’ jobs/roles as an end user in many different areas. It is both challenging and rewarding. What do you believe is the most unique aspect of working at QBS? One of the most unique things about working at QBS is how much everyone acts as more of a family than simply co-workers – helping each other and wanting each other to succeed in their individual positions, as opposed to the politics you may find in other fast-growing businesses. As a remote employee, how do you stay well connected to your team? In today’s world of advanced communication, staying connected to your team is a breeze. I am always just a click, or call, away. What’s one interesting fact about you that we may not know? 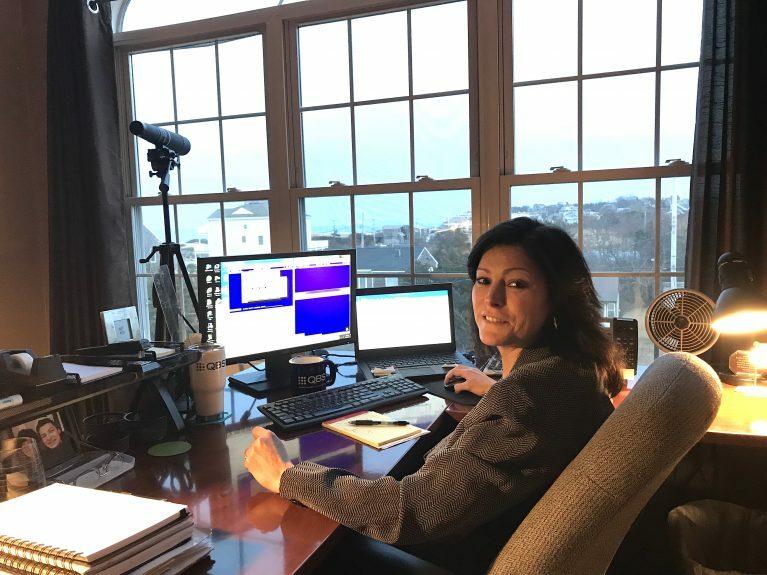 I have been working with payroll software for the past 19 years and prior to that I worked with prison software at the Plymouth County Sheriff’s Department for 10 years. I created nearly every department’s programs, including payroll and human services. Anything else you’d like to share? (Family, Hobbies, etc.?) In my spare time, I enjoy gardening, cooking, boating, tubing, skiing and spending time with my wonderful boyfriend Danny and our adopted Lhasa Apso dog, Scotty. Scotty also enjoys boating and will be joining us for his first adventure to Florida, for the remainder of the Winter months. I also have a loving son Anthony who is going to school nights to obtain his Journeyman License as a plumber, and is a father to my grandson, Anthony Jr.